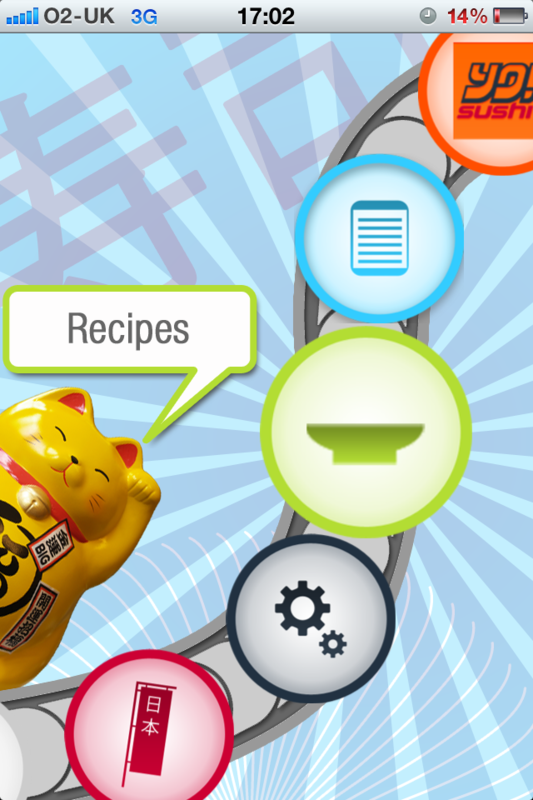 Learn Sushi from the professionals - video tutorials and 55 yummy recipes! YO! Sushi's training chef May Lee is on hand in 26 exclusive videos to help you get started with the basic skills, up to the more advanced recipes and techniques. 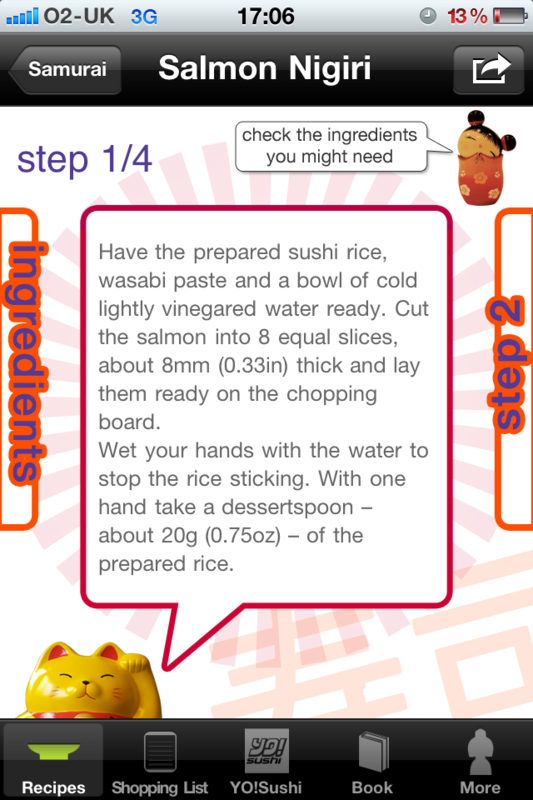 *Recipes* Are you a novice, apprentice or Samurai sushi maker? 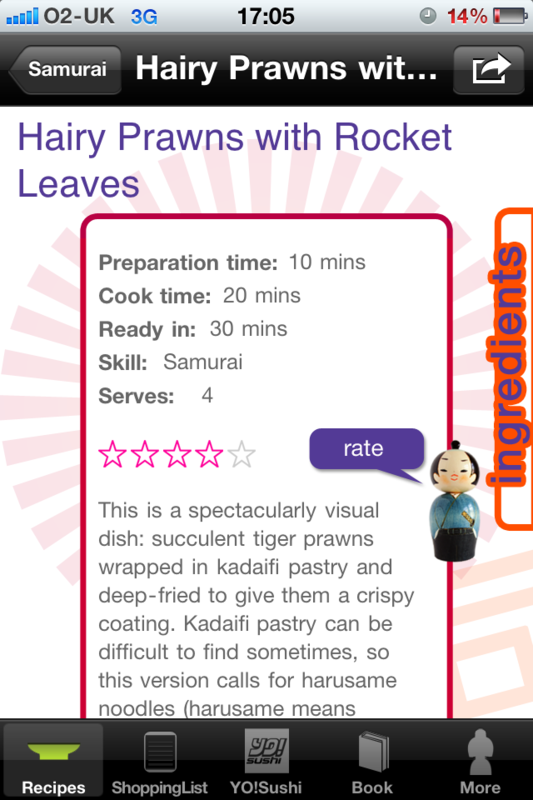 Whatever your level we've got easy to follow recipes for you to try at home. Every recipe and technique is clearly explained and illustrated with high quality colour photography. 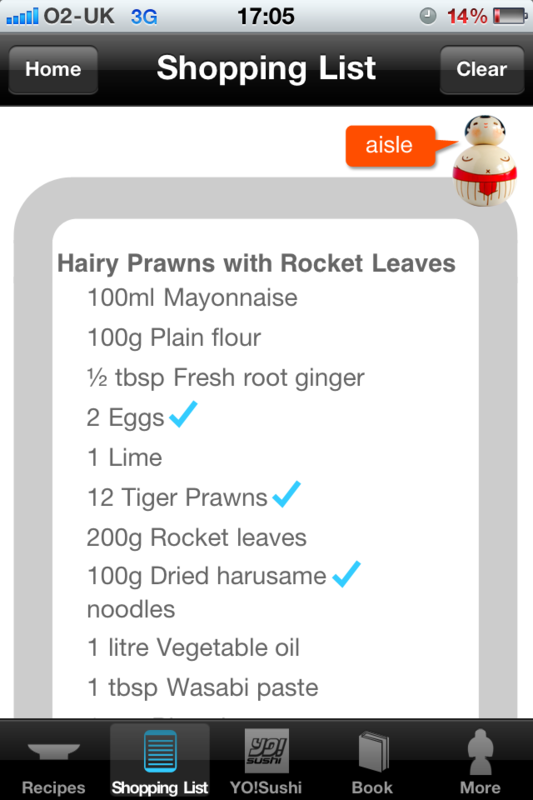 When you want to try out a recipe simply add it to your shopping list to see the ingredients listed by aisle or recipe. Want to cook for more or fewer people than the recipe says? No problem, use the portion adapter to meet your needs. Of course you may just want to head out to YO! Sushi so we've included a restaurant locator too, plus hooked you up to the latest promotions on offer.